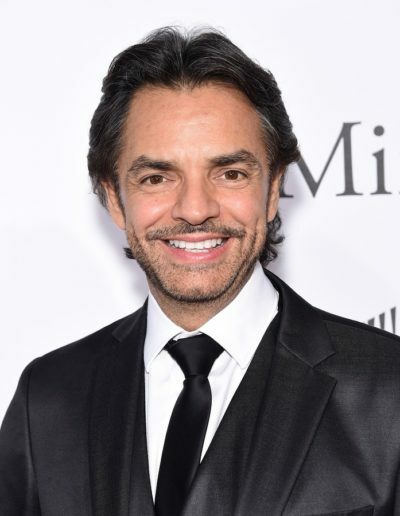 Eugenio Derbez is a Mexican actor, comedian, director, writer, entrepreneur, and producer. He is the son of Silvia Derbez (Lucille Silvia Derbez Amézquita), an actress, and Eugenio González Salas, a publicist. Eugenio is married to actress, singer, and dancer Alessandra Rosaldo. He has four children, a daughter with Alessandra, as well as actress Aislinn Derbez, actor and singer Vadhir Derbez, and actor Jose Eduardo Derbez. Eugenio’s maternal grandfather was Marcel Derbez Gilly (the son of Victor Derbez and Teresa Gilly). Eugenio’s maternal grandmother was named María de la Luz Amézquita. María was born in San Luis Potosí, México.